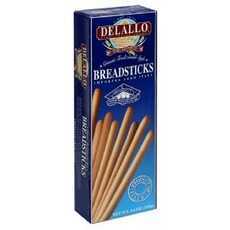 Enjoy Delallo Thin Torinese Breadsticks. Pack Of Twelve,3.5-Ounce. Made With Olive Oil. All Natural. Imported From Italy (Note: Description is informational only. Please refer to ingredients label on product prior to use and address any health questions to your Health Professional prior to use.